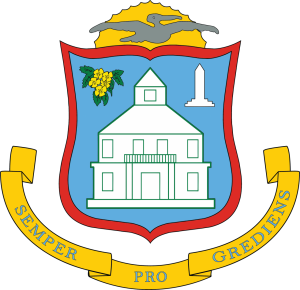 With the Government of St. Maarten, we have committed to assist in manning and coordinating the logistics related to emergency shelters, coordinating the distribution of relief goods, and conducting first response. Though we have a pre-determined role assist in these areas, we are very much aware of the unpredictability and chaos related to crises and are prepared to assist in other areas as is needed well. Additionally, K1 has also developed relationships with Governments of other countries in the region, and is currently in the process of clearly defining with them what part we will play in their disaster relief structures as well. In order to adequately meet these needs both on St. Maarten and in the region- namely Dominica, and the British Virgin Islands-, K1 has contacted, vetted, and selected a group of 20+ dependable, dedicated and equipped volunteers who will be insured under the foundation. Volunteers have completed and are undergoing a variety of trainings, including CPR, First Aid, AED, Bedrijfshulpverlening (training with the fire department), psychological first aid, and child protection in emergency situations. Other trainings in relevant fields are being organized both regionally and internationally, and volunteers with leadership potential have the opportunity to undergo further training to play a leading role in disaster management within K1 DIRECT. This disaster relief team will have the needed emergency equipment and supplies to functionally assist in the wake of a disaster. We are also partnering with strategic organizations to have the needed logistical support both on ground and in the region. Having very specific predetermined roles within the country’s disaster relief structure enables us to act immediately to bring coordinated assistance in the wake of a hurricane, having been able to make all necessary preparations beforehand. 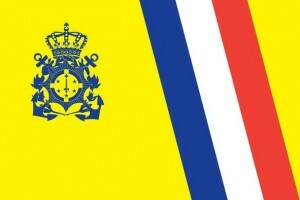 The foundation is currently also developing a branch of DIRECT in Curacao. Our volunteers residing on St. Maarten are willing and passionate about their role in assisting in managing crises, but we cannot predict that they or those close to them will not be affected should the island be struck by a disaster. For this reason, we set outlooked to select and train volunteers on other islands within the Dutch Kingdom that would be mobilized to assist immediately after a disaster. As the probability of a hurricane affecting Curacao is smaller, we decided to base our second team there. We are partnering with Winair, who will assist with flights for our volunteers both into St Maarten and to other affected countries to bring our volunteers on ground before an impending hurricane , so that we can be on ground and effective immediately before, during and after a disaster. K1 Direct is the Caribbean Partner for Rapid Response Team Foundation (Switzerland).This program was created because of a very real need that became evident after Hurricane Irma. The basis of the program is to be proactive and effective in meeting that need for many years to come. As the program grows, so does the potential to help so many more in the region in an even , and more effective mannerly. This is just the beginning!